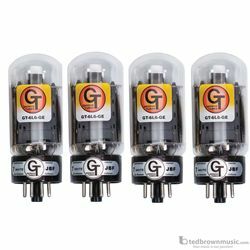 The GE is a faithful reproduction of the original "clear top" 6L6, the flagship of the GT 6L6 line. It looks and sound exactly like the original G.E. tube used by Fender in the '50's and '60's. It took more than four years to develop, and has stunning clarity and power.